Herbalife guarantees the quality and freshness of its nutrition and personal care products. If for any reason you are not completely satisfied with any Herbalife® product purchased directly from Herbalife or an Herbalife Independent Distributor, you may return it within 30 days from receipt for a full refund or product exchange. Refunds and exchanges may be obtained by following the instructions available at Herbalife.com or by calling 866-866-4744 or by contacting your Herbalife Independent Distributor. The cost of the original shipping and return shipping will be refunded to you. Can I exchange a nutrition or personal care product I purchased? You may exchange the product within 30 days of its receipt by calling 866-866-4744 or by contacting your Herbalife Independent Distributor. Return shipping costs will be reimbursed to you. My nutrition or personal care product arrived damaged/defective. What do I do? You may have the product replaced within 30 days of receipt by calling 866-866-4744 or by contacting your Herbalife Independent Distributor. Herbalife will cover the cost to ship the damaged or defective product back to us, as well as the cost to ship the replacement product to you. My return item package was lost/stolen. What do I do? 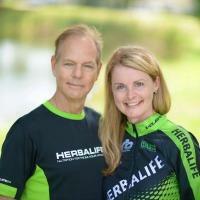 Herbalife is not responsible for lost or stolen packages containing returns. We highly recommend that you use proper insurance, tracking and delivery confirmation methods when shipping. How long does it take to process returns, exchanges and/or refunds? Most returns and exchanges are processed within seven to 10 days from the time Herbalife receives the item being exchanged or returned. I have questions about the Returns, Exchanges and Refunds policy. Who do I contact? Refunds and exchanges may be obtained by following the instructions available at Herbalife.com or by calling 866-866-4744 or by contacting your Herbalife Independent Distributor.